Howdy friends . . . it's Kelley Dolling from Teacher Idea Factory! I am here to bring you a fun little freebie today. It started off as a for sale packet, but then I decided to make it short and sweet and offer it up as a FREEBIE. Here's the background on this collection. The longer I teach the more problems I see on pop up on the playground. Times area a changin' and I wanted to make a packet to try and head some of these issues off at the pass. Instead of just reviewing our yard rules, we will explicitly teach our playground expectations this year. We will focus on what it takes to have a fun and successful recess each and every day . . . when your teacher is standing guard and when he/she isn't. Let me offer a little additional insight on this freebie for you. Each item is outlined below (I promise not to drone on forever - it's back to school time for goodness sake). Recess Really Rocks Write - thought this would be a fun way to get into the recess spirit. Once we get our babes thinking about things they love on the playground, I see a nice transition into manners and expectations! Playground Rules Poster - I wanted one of these, so I tossed it in for you too! I am going to use this to help me construct a little Playground Manners Theatre. I am so excited about acting out situations . . . our kids are going to love it! Yard Super Slips - this seemed like a fun and easy way to reinforce those desirable recess behaviors. We (the teachers) are out during the morning recess . . . I am definitely going to be dishing these out to high-level babies. Hopefully, this will help cut down on the issues that occur when we (the teachers) are NOT on the playground at lunch. 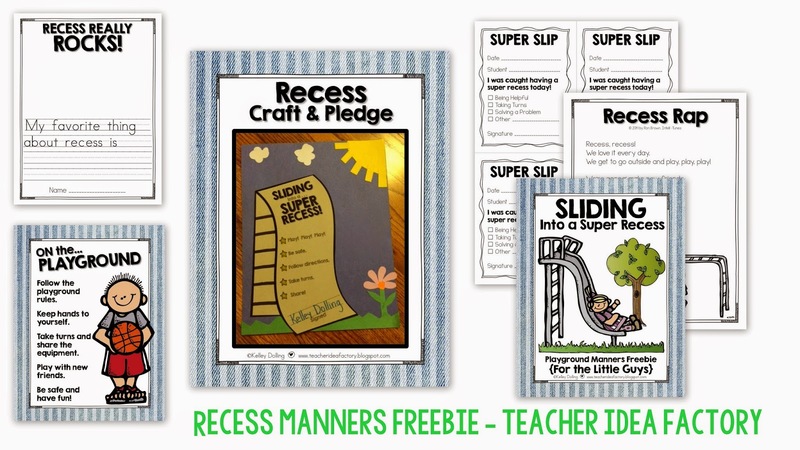 Recess Craft & Pledge - I wanted a simple cut and paste craft that served as a little behavior pledge for the year. I came up with a funky slide. It's quick, easy, and serves its purpose. Recess Rap - oh baby . . . this is my favorite thing about the pack. I wanted a little chant to sing before hitting the playground, but I didn't have one. It helps to have Ron Brown from Intelli-Tunes as your father as he whipped one up for me last weekend ... thanks pop! This freebie comes with an MP3 and the lyrics in printable form. Alright, so there it is in a nutshell - Sliding into a Super Recess. 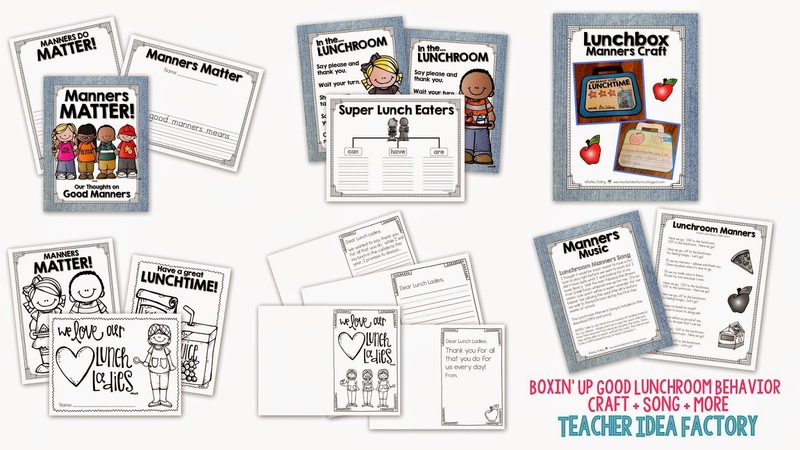 If you like the flavor of this character building packet, be sure to check out my Lunchroom Manners collection! Thanks so much for visiting today . . . I love getting to be a part of the Blog Hoppin' bunch (honored is more like it). I'll catch you on my next go around. Here's to a stellar week with the babes! Wow I love the rap. Thanks for the freebie. Will be using this with my new seconds this year.